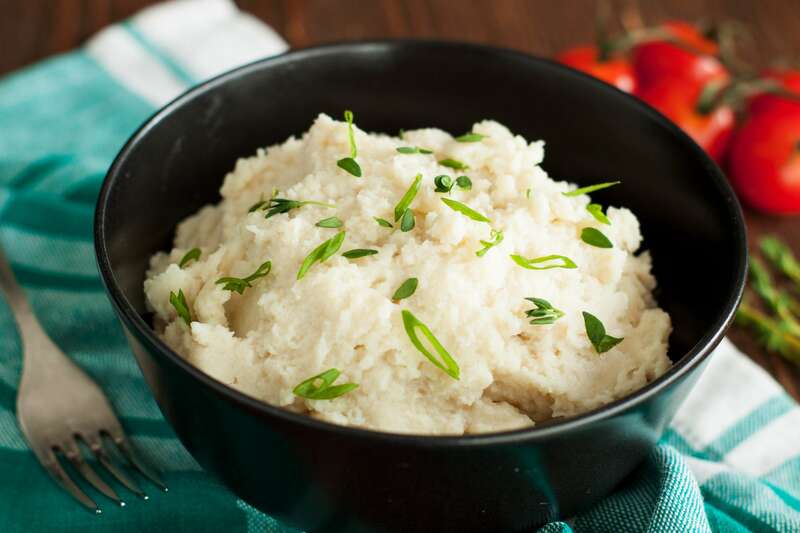 This creamy garlic mashed cauliflower recipe is a great low carb option to your traditional mashed potatoes. It has a velvety-smooth texture with a boost of buttery garlic, tangy Parmesan and a sprinkle of fresh chives. What a delicious way to get your family to eat their vegetables! 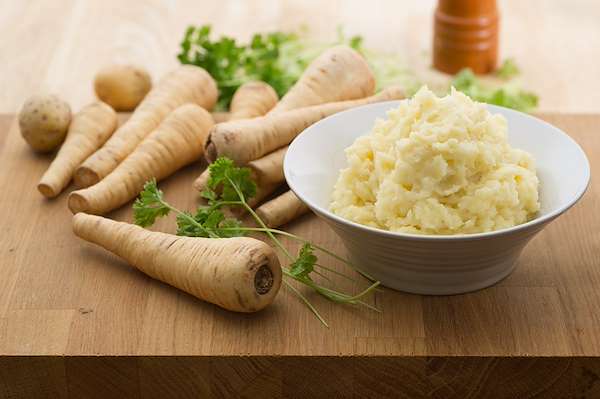 RecipeSavants.com This creamy garlic mashed cauliflower recipe is a great low carb option to your traditional mashed potatoes. It has a velvety-smooth texture with a boost of buttery garlic, tangy Parmesan and a sprinkle of fresh chives. What a delicious way to get your family to eat their vegetables! Smart Recipes, American Recipes, Vegetables Recipes, Recipes Vegetables American Creamy Garlic Mashed Cauliflower PT20M Serves 4 Ingredients: 1 Medium Cauliflower 6 Cups Water 1 Small Bunch Fresh Chives 2 Tablespoons Butter 2 Large Garlic Cloves 0.25 Cup Milk 0.25 Cup Freshly Grated Parmesan Cheese 0.25 Teaspoon Salt & Freshly Ground Black Pepper In a large saucepan over medium-high heat, add water and cauliflower and bring to a boil. Cook until cauliflower is fork-tender, about 10 minutes. 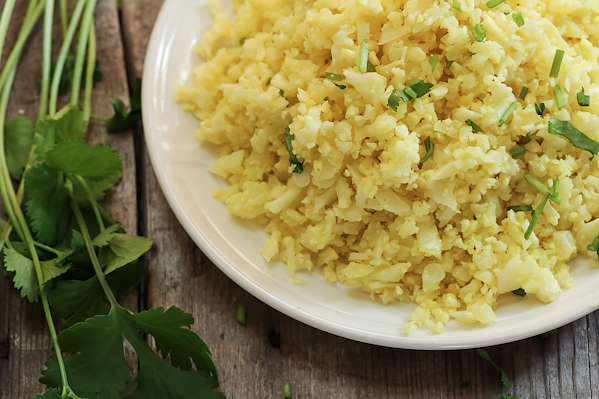 Use a colander to drain cauliflower and set aside. Meanwhile, in a small saucepan over medium-low heat, heat butter and saute the garlic until softened & fragrant, about 3 minutes. In the bowl of a food processor, combine the cauliflower, garlic & butter and pulse until just combined. Stir in the Parmesan cheese, salt & pepper and pulse to combine. Transfer mixture to a serving bowl and top with minced chives. If you enjoyed this easy side dish, you'll love these fresh ideas! 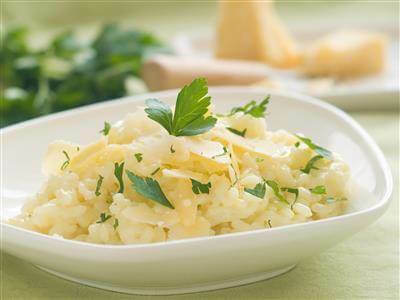 Once you try this rich, creamy risotto you won’t be ever coming back to your regular typical risotto. Serve it as a side or first course along with the fancy dinner ideas such as pan sautéed chicken breast or vegetables, fish, and a glass of American barleywine. Whether you attend a potluck dinner, picnic, or backyard barbecue, there is a good chance that you will find potato salad on the buffet. 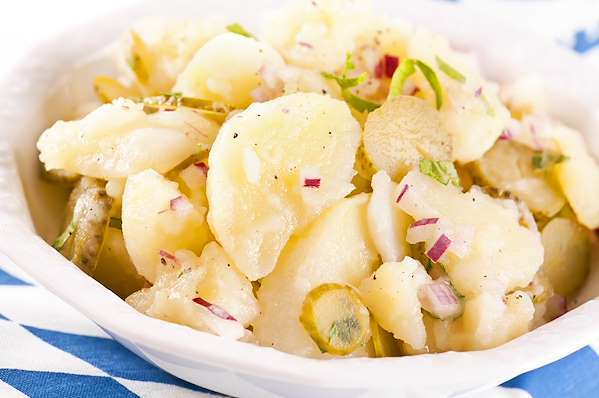 Instead of a standard potato salad recipe, try this zesty version featuring red skin potatoes marinated in a tart dill pickle brine and mixed with crunchy pickles, celery, and parsley in a savory mayonnaise dressing.